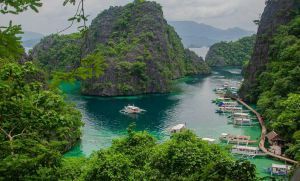 The Philippines is home to various majestic mountains that beckon to all types of trekkers and climbers. They promise a fantastic and challenging adventure, the memories of which will not soon be forgotten. One of these mountains that have challenged and satisfied trekkers and mountaineers alike is Mt. Matutum. 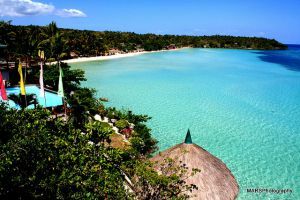 It is located in Tupi, a town in the southern part of the landlocked province of Cotabato on the island of Mindanao. It is also just around 30 kilometers north-northwest of General Santos City. Rising over 2,200 meters above sea level, Mt. Matumtum is actually an active volcano and its last eruption was said to be in 1290 give or take 40 years. More specifically, it is a stratovolcano with a base diameter measuring around 25 kilometers. Mt. 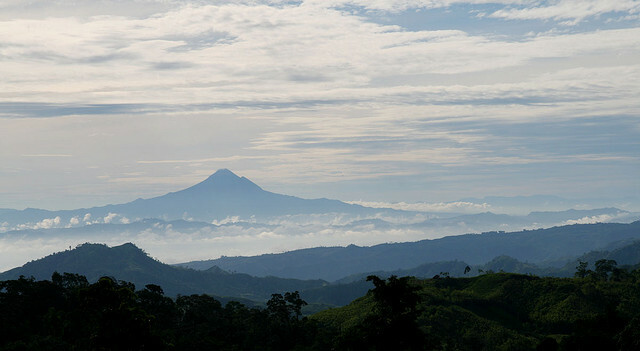 Matutum has an irregular cone shape that dominates the skyline from General Santos to Koronadal. Its name translates to ‘burnt out’ or ‘has fired’ in the local dialect. Mountaineers describe it as one of the greenest outdoor destination in the area and definitely a top-notch challenge for anyone who loves the peaks. Plus, getting there is just a matter of catching a flight to Cotabato’s Awang Airport. It is no surprise then that the volcano is fast attracting hundreds of trekkers and climbers from the Philippines and other countries. In a great move to protect Mt. Matutum’s ecology, the local government unit has established a thriving ecotourism in the area. As a result, everyone who wishes to reach the summit needs to include tree planting in their itinerary. Under the motto “Amyak Maleh Matutum! (Climb and plant Matutum! )”, every visitor is encouraged to take good care of the flora and fauna around the volcano in order to preserve its beauty and diversity for generations to come. What can visitors expect at Mt. Matutum? First off, there is the lush vegetation surrounding the trail. Every step provides an opportunity to get in touch with nature and learn about the various trees, flowers, plants, birds and wild animals in the area. Another great thing to do is to keep your eyes peeled for a Philippine eagle sighting. It will surely be a pleasure to see this majestic bird making the skies in the area all the more exciting. The trail through the densely forested floor and the handful of gorges that breach the land formation is also challenging enough to make reaching the summit totally worth it. And speaking of the summit, there is a view deck there that affords everyone a gorgeous panoramic view. The 320-meter well preserved crater will not disappoint either. There is also enough space to pitch some tents and camp for the night. To end your Mt. Matutum experience on a high note, visit the nearby hot springs called Acmonan and Linan, which are just around 6 kilometers from the volcano. Or, spend some time in the center of Cotabato pre or post-climb and sample this province’s cuisine as you immerse yourself in the area’s culture and friendliness. For sure you will have a totally wonderful holiday with memories you will forever treasure.